“It’s so fantastic to see our students get so excited about Art. 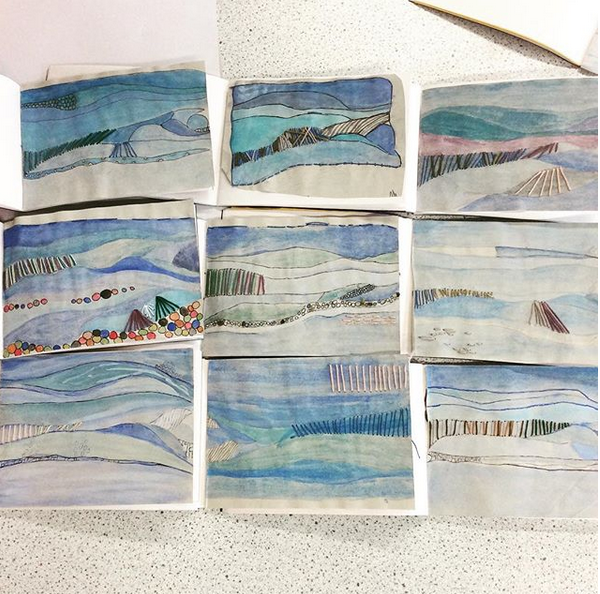 At break time on Monday, Isabel Hornby in Year 8 ran to tell me that she posted a picture of her work which she completed in class on her Instagram page (this was reposted from our wellingtonschool_artdepartment Instagram page). 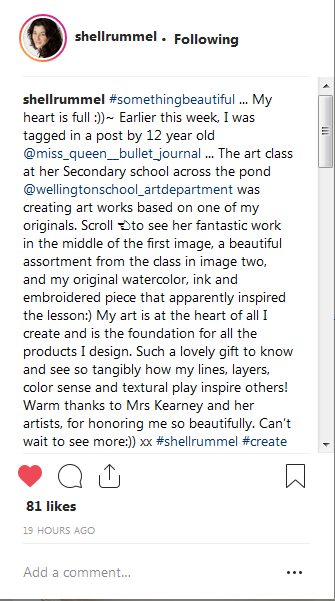 She tagged in the Artist, Shell Rummel who we were studying in class and to Isabel’s amazement, the artist personally responded by saying how beautiful the art work was. Shell Rummel is an award-winning artist from Washington, D.C. She is well known for her refined colour palette, free flowing lines and her authentic use of materials and pattern. As well as this, she designs wallpapers and textiles for some major retailers including Anthropolgie and Wayfair. The post has had hundreds of likes from people all over the world.